Dream homes are still attainable here in beautiful Texas! 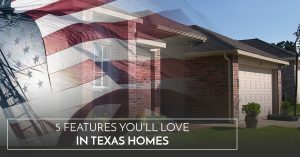 From ranches to country homes, and of course, starter homes for first-time buyers, the Texas real estate market offers something for everyone. We specialize in properties located in and around Harker Heights and Killeen, but we can help you with whatever assistance you need if you’re buying any type of property in central Texas. We also work with sellers, finding you the buyers you want for your home. If you’re interested in Harker Heights real estate but you have bad credit, don’t let that stop you from reaching out to us. The real estate specialists at the Unrivaled Realty Group regularly work with individuals with poor credit, and we can help you with credit repair so you can finally buy that dream house you want!